How parents decide to transport girls between their homes and Girl Scout meeting places is each parent’s individual decision and responsibility. Every driver must be an approved volunteer at least 21 years old and have a good driving record, a valid license a registered/insured vehicle, and have cleared a background screening. Girls never drive other girls. If a group is traveling in one vehicle, there must be at least two unrelated, approved adult volunteers in the vehicle, one of whom is female. In addition, the girl-volunteer ratios in the “Knowing How Many Volunteers You Need” section must be followed. If a group is traveling in more than one vehicle, the entire group must consist of at least two unrelated, approved adult volunteers, one of whom is female, and the girl-volunteer ratios in the “Knowing How Many Volunteers You Need” section must be followed. Care should be taken so that a single car is not separated from the group for an extended length of time. Private transportation includes private passenger vehicles, rental cars, privately owned or rented recreational vehicles and campers, chartered buses, chartered boats and chartered flights. Each driver of motorized private transportation must be at least 21 years old and hold a valid operator’s license appropriate to the vehicle. In addition, state laws must be followed, even if they are more stringent than the guidelines here. Anyone who is driving a vehicle with 12 or more passengers must be a professional driver who possesses a commercial driver’s license (CDL). Note, you must check with Troop Support to determine specific rules about renting large vehicles. Fifteen-passenger vans are not recommended. If a 15-passenger van is used, it may transport a maximum of 12 passengers (including driver). Prohibited: Never transport girls in flatbed or panel trucks, in the bed of a pickup, or in a camper-trailer. When using chartered transportation, the carriers must be selected from a GSTF-approved vendor list. Keep directions and road map in the car, along with a first aid kit and flashlight. Check the lights, signals, tires, windshield wipers, horns, and fluid levels before each trip and check them periodically on long trips. The driver and all passengers are required to wear seat belts at all times. The child restraint requirements of the jurisdiction(s) you are traveling in must be followed according to state law. FLORIDA REQUIREMENTS: dmv.org/fl-florida/safety-laws.php. Drivers must not talk or text on a cell phone or other personal electronic device while driving. If talking is necessary, a hands-free device must be used. Avoid driving for extended periods at night, when tired, or when taking medication that makes you drowsy. Plan rest stops every few hours; if driving with others, prearrange stopping places along the way. When planning longer trips, arrange for relief drivers. Even though written agreements are always required when renting or chartering, you are not authorized to sign an agreement or contract, except for rental car agreements, even if there is no cost associated with the rental. Such agreements must instead be signed by the person designated by your council. Check with Troop Support to make sure you are following accepted practices when using private transportation. This ensures that both you and your council are protected by liability insurance in the event of an accident. If your council has given permission to use a rented car, read all rental agreements to be sure you comply with their terms and avoid surprises. For example, in many cases the minimum age of drivers is 25, and the maximum age is often under 70. In addition, make sure the car is adequately insured and you know who is responsible for damage to, or loss of, the vehicle. 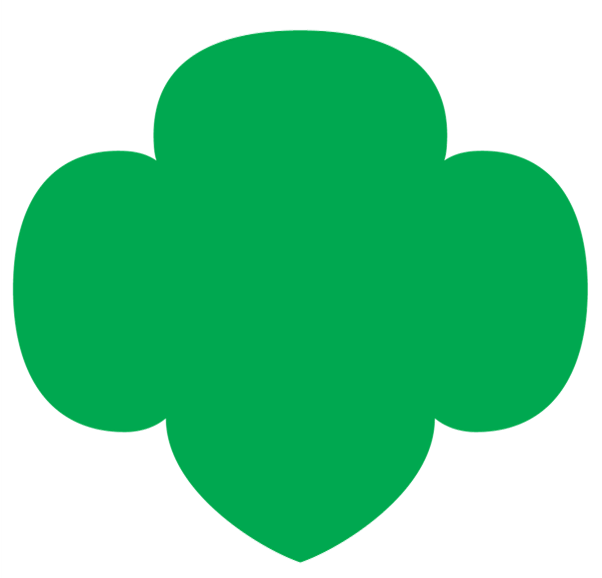 Finally, ensure you have a good paper trail that shows the vehicle rental is Girl Scout–related. Obtain parent/guardian permission for any use of transportation outside of the meeting place. Ensure all drivers are volunteers at least 21 years old. Girls should not be transporting other girls. Never transport girls in flatbed or panel trucks, in the bed of a pickup, or in a camper-trailer. Keep directions and a road map in the car, along with a first aid kit and a flashlight. Check your lights, signals, tires, windshield wipers, horns and fluid levels before each trip, and recheck them periodically on long trips. Keep all necessary papers up to date including, but not limited to, your driver’s license; vehicle registration; any state or local inspections; and insurance coverage. Wear your seat belt at all times, and insist that all passengers do the same. Girls under 12 must ride in the back seats. Follow all the established rules of the road in your state, including the speed limit. Some additional guidelines include keeping a two-car-length distance between you and the car ahead of you; not talking or texting on a cell phone or other personal electronic device while driving; not using ear buds or headphones while driving; and turning your lights on when your windshield wipers are on. Drivers should not drive more than six hours in one day, with rest breaks every two hours. Avoid driving for extended periods at night. If traveling with others, prearrange stopping places along the way. When planning longer trips, arrange for relief drivers. Do NOT drive when you are tired or when taking medication that makes you drowsy.